Zack King is a Community Manager at RPM, working across a number of brands such as Captain Morgan, J&B and Clover. Zack started his career in community management at All-Leo, where he was responsible for the social media accounts for a number of popstars, such as Cheryl Cole, Leona Lewis and Take That. You can follow Zack on Linkedin or Twitter. G: How did you build your experience as community manager? 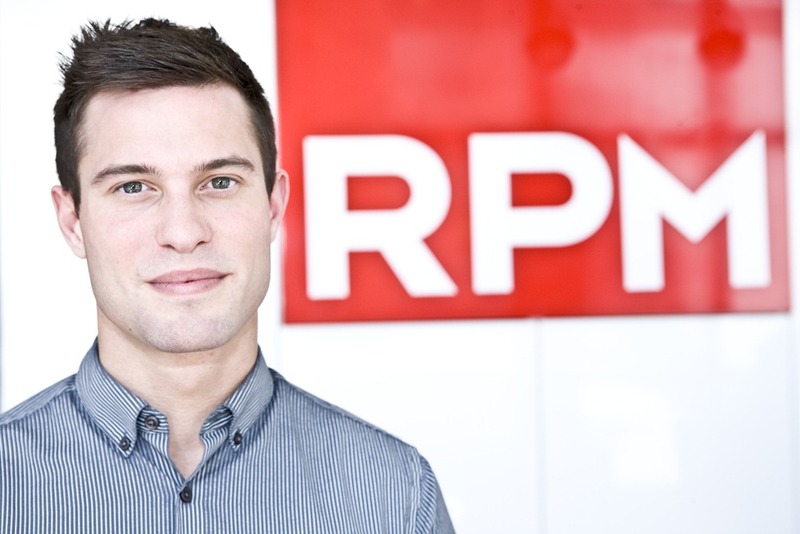 Z: I am now Community Manager at RPM, working across a number of brands such as Captain Morgan, J&B and Clover, but started my career in community management at All-Leo, where I was responsible for the social media accounts for a number of popstars, such as Cheryl Cole, Leona Lewis and Take That. Understanding these vastly different communities and how they wanted to communicate with their idols taught me how to build engagement strategies around the consumer and to never stop adapting. Z: Subscribing to feeds, blogs and alerts is vital to staying ahead of developments and so give yourself time to anticipate and prepare for change. Sites such as Inside Facebook, Mashable and TechCrunch are excellent stalwarts, but Google Alerts is a very powerful yet often underused resource. The best resource will always be the community itself. Spending time becoming part of the community you intend to manage is vital to understanding their expectations. G: Who are your favourite community managers/strategists or community management case studies? Z: As a Firefox user, I’ve found the @firefox_answers Twitter account very helpful. Their replies are always quick and clear, which is all brands need to do to satisfy the demands of a community. Z: This all depends on what you want to do with your community, as each platform has its strengths and weaknesses. For example, Facebook provides great opportunities to tap in to the power of advocacy, while Twitter’s real-time communication and simplicity allows for lightning-fast viral reach. Company websites almost never facilitate real-time, two-way communication but as Facebook’s social plug-ins become more widely used, it is likely this will change. Z: Great content is the most important factor. In 2012 we’ll see a trend towards higher quality embedded media, as channels become adept at hosting and displaying media seamlessly. But no matter how simple the content, if it’s what fans want, the community will work. Paid for and organic advertising. Paid advertising yields great results but can be expensive and risks inflating numbers with members who have no real emotional relationship with your brand. Organic growth will occur when fans recommend you to their friends. As this kind of recommendation is built on trust and word-of-mouth, it’s highly valuable to brands and statistics around organic growth, such as virality, ‘people talking about this’ and reach are worth paying close attention to. Z: Conversation forms around shared passion, so establish what drives your community and steer discussion towards your community’s passions. They may be varied but will follow a theme. For instance, if you are managing a community for a cycle manufacturer, then topics such as weather, road safety and other outdoor pursuits will be likely to get fans involved. Z: Facebook’s Edgerank algorithm gives greater prominence to pictures and videos than it does to simple status updates and comments are worth about three times that of a ‘like’ in terms of increasing the post’s rank. So create posts that demand opinion and don’t be afraid to post content that is simply fun and irreverent. Content that has little to do with the brand reminds fans that the community is being run for their enjoyment and not simply for their business. Z: As I mentioned previously, advocacy is very important. Identifying brand advocates and rewarding them will do wonders for both the community and sales. Tools are available (eg Syncapse) that allow advocates to be quickly identified. Z: A larger community means your message reaches more people but says nothing about how engaged the community is. Clicking ‘like’ on a Facebook Page or ‘follow’ on a Twitter Page takes little effort and does not mean the fan/follower will pay attention to your content. Delayed responses. Fans (and potential fans/customers) may only see a post in their feed for a matter of hours. If you always take five hours to respond, you’ve missed your opportunity. No tone of voice. Getting the tone right can be a delicate matter involving gaining the trust of the client. But this is no reason to post generic, unimaginative responses. As fans will detect the lack of enthusiasm a mile off. Injecting personality is fundamental to engaging fans; you don’t want your community to become the social media equivalent of an automated telephone system. Automatic posting. There are a number of services that allow you to schedule in your future posts, to save you a little work. There are times and places where this will be necessary but should generally be avoided, as it disconnects the Community Manager from the community. After a post, the Community Manager should be busy listening and responding to feedback. If posts are made automatically, this crucial period becomes too easy to neglect. G: Do you have any social media crisis management experience? If yes, what is the best way to approach the problem? Z: There should always be crisis management system in place. Negative stories can go viral in no time at all; yet have the potential to be seen in a positive light if handled correctly. As a Community Manager is representing the brand, the process of escalating and reporting crises is vital to ensure clear lines of responsibility and scope are in place. If things do go wrong, the Community Manager will be the first person considered when apportioning blame! Z: Many businesses are investing in social media after being told this is what they need to do, yet know little about it themselves. They are naturally wary over whether this is a sound investment and require tangible data to demonstrate its worth. The size of the community, along with the number of likes, comments and retweets will tell some of the story, but analysing the data on a deeper level will reveal interaction rates, viral reach and online noise. This holistic approach will increasingly be demanded, as companies become more in-tune to the benefits of social media.